Welcome to NonnewaugLax′s home on the web! The primary goal of the Nonnewaug Club Lacrosse Program is to develop student-athletes of character and integrity who will serve as positive members of the school community and the greater society. We believe that the following objectives will best augment the team's mission. We will promote pride, unity, and confidence in the Woodbury community, The Woodbury Parks & Recreation Department, and the Chiefs Lacrosse family. We will place primacy on our academic endeavors, and recognize the importance of intellectual growth throughout our High School careers. We will practice positive leadership and display the courage necessary to advocate just causes in the face of public or social pressures. We will hold ourselves responsible and accountable for our thoughts, feelings, and actions; we recognize that as student-athletes we represent the Woodbury community. We understand the immense opportunities afforded us as members of a diverse student body. Through our interactions on campus and in the broader community, we will demonstrate the virtues of compassion, sensitivity, and respect. The Nonnewaug Varsity Club Lacrosse program has a strong foundation built on the values of family, community, and positive attitudes. All members of the program will strive to uphold this tradition through hard work, professionalism, and loyalty. Nonnewaug Lacrosse is ready to start it’s 10th season and with that are some exciting changes. An eager group of parents, players and coaches are reorganizing Nonnewaug Lacrosse. Short term, we are looking to be self-sufficient and field a competitive club team with a full schedule. Long term we are working to make the sport a true High School Varsity program. Registration is open for the 2019 Spring Season. Sign up and join the game! For now, only a small fee is required to US Lacrosse. Once we have finalized the new organization, the playing fee, similar to last year, will be collected. Register now so we can keep you updated to the ongoing progress with the team! 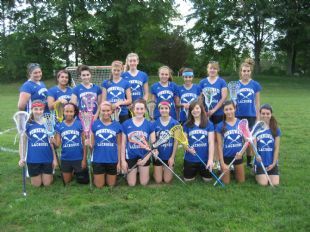 Nonnewaug Lacrosse is a Spring Club Lacrosse Program for High School players only. Are you looking for youth lacrosse options for younger Woodbury players?